Please join Lauren & Becky in our year long fundraising efforts to help children and their families conquer childhood cancer. Join us in our commitment to turn childhood dreams into reality by supporting THONTM. 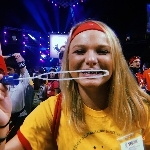 Together, Lauren Saello & Rebecca Reeves, are taking action by uniting with 16,500 student volunteers and over 25,000 alumni supporters in the fight against childhood cancer. Our year-long efforts culminate in a 46-hour, no-sitting, no-sleeping dance marathon each February to celebrate our survivors, remember those we’ve lost, and take a stand--all in hopes of one day dancing in celebration of a cure. 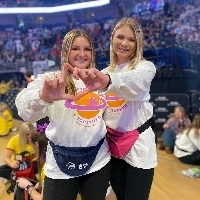 Lauren Saello & Rebecca Reeves have been working tirelessly all year with the hopes of being selected to dance in THON 2019. Independent Dancer Couples are dedicated individuals who set up their own fundraisers throughout the year, and with the support of friends and family, will obtain tickets in a lottery system in the hopes of earning a spot as dancers in the Penn State Dance Marathon. 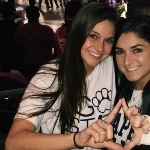 With your contribution, you will bring Lauren Saello & Rebecca Reeves one step closer to being able to take a stand against childhood cancer during THON Weekend 2019.